The 15-member Indian squad for the World Cup, on paper at least, seems to be a balanced one. It may be light on pace bowlers, but the selection of two pace-bowling all-rounders in Hardik Pandya and Vijay Shankar gives it some cover on that front. Similarly, it has three spinners one of whom can be seen as a genuine all-rounder, apart from a middle order batsman in Kedar Jadhav who can be a useful spinning option, when the conditions suit slow bowling. Rohit Sharma and Shikhar Dhawan are the tried and tested opening pair and despite the latter’s lack of performances in his last few ODI matches, there was no pressing reason to go with any other combination. 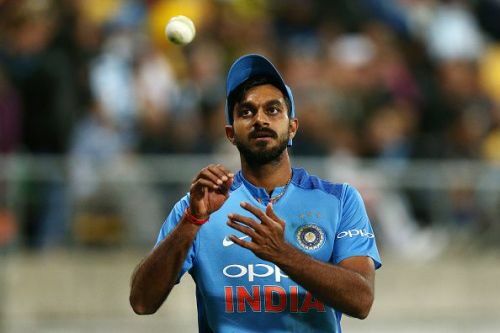 However, the selectors have been quite prudent in their selection of KL Rahul as a possible third opener, in case either of the first choice openers faces some injury scare or lack of form. Though there may be some justifiable disappointment for Ambati Rayudu who may rightfully consider himself unlucky after missing out on selection, the fact of the matter is that the other middle order batsmen in the squad bring something extra to the table. KL Rahul, apart from being a possible contender for a middle order batting slot, can also be a genuine reserve opener. Dinesh Karthik, apart from being a possible number four, can also be seen as a finisher. He is also the team’s reserve wicket keeper. Kedar Jadhav is not just an unorthodox, yet intelligent batsman, but also a more than decent spin bowling option. Vijay Shankar is possibly the most improved Indian player in the last few months. He seems to have peaked at the right moment. His batting, especially, has improved by leaps and bounds. He can certainly be seen as a hard-hitting middle order batsman. His medium pace bowling and brilliant fielding skills are added values that he brings to the them. 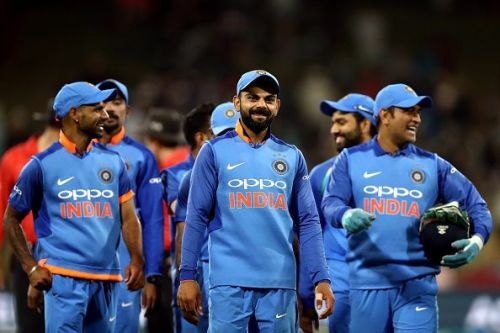 All in all, kudos to the selectors and the Indian captain for selecting a squad that seems to have all bases covered for a successful World Cup campaign.